There was an ancient king who was merciless yet philanthropic, a despot and a visionary, and who shed oceans of blood to bring peace to the world. He was the King of Qin, originally the prince Ying Zheng, and he sought to unite the “entire world” by force. That is the paradoxical story of unparalleled historical significance that Chinese videos have told me again and again. Hero and The Emperor and the Assassin are examples of great Chinese films that gravitate around the same historical drama, which led to the rise of the ancient Chinese nation through the bloody unification of six kingdoms. The king of one of those realms, Qin, is the indispensable personality—sometimes a villain and sometimes a hero—often both simultaneously. The King of Qin is not usually the main character, but he is always a powerful and conflicting figure without whom the rest of the story would make little sense. Currently I’m watching a drama, a 2017 TV series that resembles the abovementioned films, but drawn out into 48 episodes of 40 minutes each. Thus, instead of the typical two hours of viewing with a film, I will have about 32 hours. I’ve watched 21 episodes thus far[i], most of the time with English subtitles. It is the first TV drama in Mandarin that I’m actually enjoying on its own merits and would recommend to others. It’s not as good as the films, but in some ways it comes close. 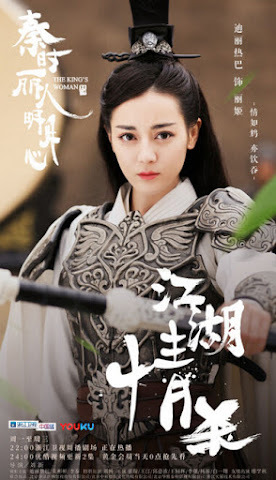 The main character and hero of the drama is a woman, Gongsun Li, a sword-yielding wushu warrior who is held captive by the King of Qin because of her beauty and an infatuation that stems from childhood interactions. However, her grandfather warrior master was killed by Qin fighters and she is in love with her brother-in-training, Jing Ke, with whom she has pledged to avenge her grandfather’s death. Complicating matters further, when the King of Qin first forces her to remain at his palace, she is—unknown to any—newly pregnant with Jing Ke’s son. The baby is born and is said to be the legitimate son of the King. Gongsun Li, who originally accepted captivity in order to save Jing Ke, now remains in the palace to protect her son’s interests and his very life. By episode 21, Gongsun Li, while still theoretically in love with her brother-in-training Jing Ke, has gone from royal concubine to wife and queen, has saved the King of Qin’s life, gone out to battle with him and, what’s worse, is apparently falling for him. It’s not surprising that she is falling in love with the King. 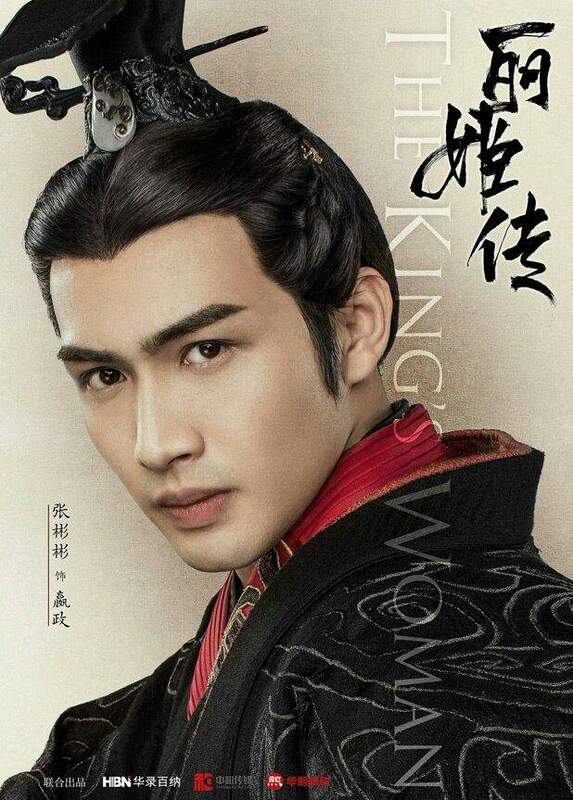 He is the most powerful man in the world, a young, handsome emperor, and, though domineering and tyrannical, is absolutely devoted to Li and patiently determined to seduce her and win her heart. 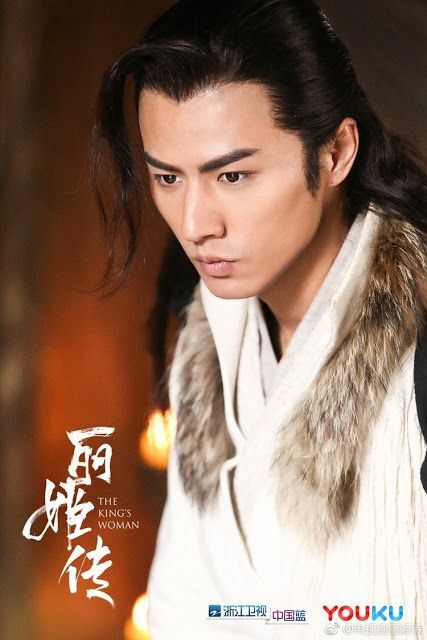 There is a third man who is secretly in love with Li, the eldest brother-in-training, Han Shen. He has managed to become a palace guard and, defying torture and death at the King’s hands, ended up gaining his complete trust. He has resigned himself to a platonic, but absolutely dedicated, love for Li and has become her bodyguard. Ironically, though he is also committed to avenging Li’s grandfather and is the King of Qin’s natural enemy, he has, at least temporarily, also become his loyal guard and protects Li on the King’s behalf. Jing Ke, meanwhile, is an insecure, yet energetic figure, an ambitious martial artist, searching inwardly for his heroic self and outwardly for a mythical sword manual that would bestow untold wushu powers on him or whoever finds and understands it. He is accompanied by a fawning and beautiful Ge Lan, the daughter of a renowned swordsman and herself a wushu disciple. Ge Lan is completely dedicated to Jing Ke, but he hardly seems to notice her. What I most enjoy about this drama is the historical backdrop. The costumes and visuals are meticulously prepared and convincing, and while watching you find yourself immersed in 3rd-century-BC China. Inasmuch as the depictions are accurate, it was an amazingly advanced society, with a significant degree of material comfort—especially if you were royalty living in the Qin palace. Far from a strange, remote, or barbaric society, it comes across as livable, authentic, sophisticated, and highly relatable. I don’t know realistic the portrayal is, but the drama certainly succeeds in showing a civilization and human social organization as complex and engaging as any other, with interconnected people living out their personal dramas. It helps that I have watched enough Chinese films, including historical ones, that the culture is somewhat familiar to me. One fascinating facet is that while the society is organized in a rigid, hierarchical fashion, with the king as the supreme pinnacle, there is a parallel society with its own values, traditions, and ethos—that of the wushu fighters, small bands of students and their masters who spend their days training martial arts and especially swordsmanship. While inevitably they end up interacting in complex ways with the rest of society, for extended periods they remain outside of it, and the unwritten laws they adhere to are their own. The freedom and heroism of the virtuoso martial artists are in stark contrast to the sometimes servile and backbiting ambitions of those that live and breathe within palace rules and their pyramidical hierarchy. Undoubtedly, this parallel society of wushu fighters is romanticized and exaggerated—if not entirely made up—but it does exist and hold tremendous importance in the collective Chinese psyche. [i] I drafted this post around Nov. 10, 2018.